On a beautiful April evening, the sky was setting itself up for a romantic sunset with streams of reds and pinks across the Mediterranean Tel Aviv sky. I found myself on Rothschild boulevard atop the roof terrace of a restored building. Once a luxury hotel, but now the prime location of the startup offices of Billguard, a personal finance security and productivity company. The evening scene set the stage for a gathering of product managers hailing from different companies across the start-up nation. Raphael Ouzan, founder of Billguard, shared some lessons he learned through trial and error, including a few “horror stories” from his vast experience with the company. He led the first half of the evening with a few lessons learned through his experience of growing, scaling, and selling Billguard. 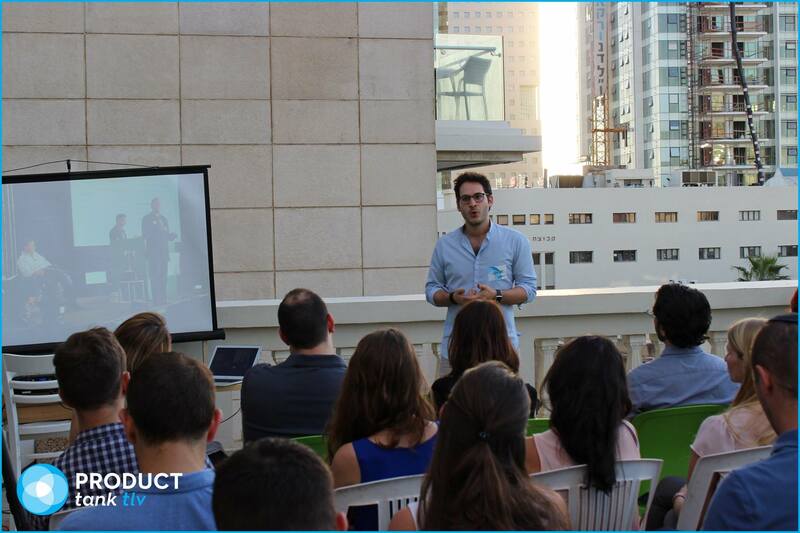 Billguard started as a small start-up in a garage, in Herzliya, Israel. After a few months of intense development, Billguard officially launched at TechCrunch disrupt. The company presented a simple solution to a 14 Billion $ problem that affects 1 out of 3 people in the United States. This problem, was centered around the pain of reading and understanding one’s bills- to the point where people could identify fraudulent activity. After the launch at TechCrunch disrupt, the tech publicity came pouring in. But the truth of the matter, was that their solution wasn’t built as a sustainable business model. Yes- people saved money through the thousands of lines of code that the billguard team had built, but that wasn’t enough. People were wowed by the initial interaction with the app, but had little to no incentive to re-engage. Which, led to dismal DAU and MAU metrics and a bleak reality for Billguard. Raphael Ouzan presented a number of lessons in his lecture, but the two below stood out to me as actionable and powerful ideas that we can all use in our product manager experiences. It doesn’t matter how amazing your products is if you don’t get into the workflow of consumers. Product managers must focus on much more than function- they have to fully and actively integrate into their customer’s story. When Billguard took that step, they focused on three major themes to guide their approach. This framework is: KNOW, FEEL, WANT. As responsible adults, we must think about our personal finance. Wanting to deal personal finance, and actually understanding personal finance is an entirely separate story. A number of studies have been conducted in the United States in order to evaluate the financial literacy of the common man and woman. These studies tested common knowledge about investing in mutual funds, bonds, and a number of other financial instruments. The gist of the results? People didn’t know what most financial terms meant, and surely didn’t understand how to wisely invest and save their money. Financial systems can be so complex and filled with jargon unfamiliar to the common person- that lofty mistakes can so easily be made by anyone! As a result of the complicated and headache-inducing financial jargon, people prefer to avoid their finances or offload them to someone who “understands.” Banks are often avoided, due to the complicated and time consuming processes that automatically ensue when you step food inside. In most cases, we are able to do our banking online and from the comfort of our own homes. The only time we have to drag ourselves to the bank, is when something annoyingly doesn’t work. This either means that we can’t access our money or we can do what we want with it. Both of which- are infuriating. Stepping into the bank with that chip on your shoulder means you probably don’t want to be anybody’s friend. Most services begin with an interaction of friction. Imagine waiting on the phone for someone to help you with any billing, ordering, or scheduling service. Many people feel the irritation rising once that repetitive jingle repeats itself on one loop. The same goes for banking. Until recently, society as a whole had a great deal of trust in their banking systems. The bank was a place where people dressed in crisp suits safeguarded and dealt with your money. But over the generations, we have gained access to droves of information that empowers the masses with information, leading to an educated and transparency seeking customer. Millennials expect to understand the world around them- and when they don’t understand something, they expect it to be immediately explained to them in simple terms. In our reality, things get better and faster every day. The babyboomer generation had to trust bankers because their access to information was limited. But now, the Gen Y and Millennial generation have an immediate expectation for understanding. Many Millennials prefer convenience over worrying about trust. Let’s take Uber for example. When using Uber and ordering a black cab, the user doesn’t think about the payment security system and whether or not it’s okay to trust the Uber driver who is most probably a stranger. All the user wants, is to get from point A to point B as fast as possible with little hassle. Because of our comfort with on-demand services, the pressure has risen in the financial industry to provide an Uber-like experience for personal finance. At Billguard, the founding team analysed their situation within the KNOW, FEEL, WANT framework, and subsequently went back to the drawing board. They prepared new mockups to test, with a refined user journey behind them. Through a number of feedback and iteration loops, the team focused on finding an answer to their core question. How could they leverage data in order to create a tool that would help users gain control over their personal finance? The problem with running these iterations in a loop, is that the process is extremely time consuming. Once you sent an iPhone app to Apple for approval, it takes 2 weeks for the Apple teams to approve it. Customers may then begin to download the app, but if there is a bug- you will have to live with all those users using a bugged product before Apple will allow a release fix, two weeks after you fix the bug. As one can easily see, this process is not lean or conducive to iterations. Billguard needed a better than the typical Apple store release. In order to iterate quickly, Billguard opened a private Facebook group and spent a few hundred dollars to show targeted ads in order drive users to their testing app and ultimately into their feedback facebook group. During this process billguard released 11 iterations until they reached a high level of transparency and intelligence- which ultimately provided the end users with significant value. During the iterations, Billguard was trying to instill a greater sense of control over their users, by positioning their solution as a habit. They followed a similar cycle to Nir Eyal’s habit forming strategy of :Trigger -> Action -> Reward -> Investment . After fine tuning the app, Billguard deleted the Facebook group, stopped their targeted ad campaign and removed all traces of their advertising on the internet. They subsequently removed their app from the apps marketplace and disappeared. Billguard carefully planned a hard launch, with a blast of PR and big announcements for their solution. The results amazed the company and onlookers alike, with extremely high engagement metrics and downloads. The app had engagement levels close to the likes of an addictive mobile game. They maintained DAU/MAU (Daily Active Users / Monthly Active Users) of over 35% percent. The end result was that a previously boring and dry industry, became an everyday app that enabled people to get control over their finances. Linat Wagner took the stage after Refael, to offer her experience and advice around the concept of the power of framework thinking. Linat is the director of Product Management at WeWork, formerly the head of product, and innovation at Yahoo! Linat told us stories about the course of her career, and explained that the biggest developments in her career came when she had to make big leaps into territories that were unfamiliar to her. These experiences included times when she had to manager entirely new products, or when she was tasked with managing a team that grew from a group of 9 to a group of 50 employees. 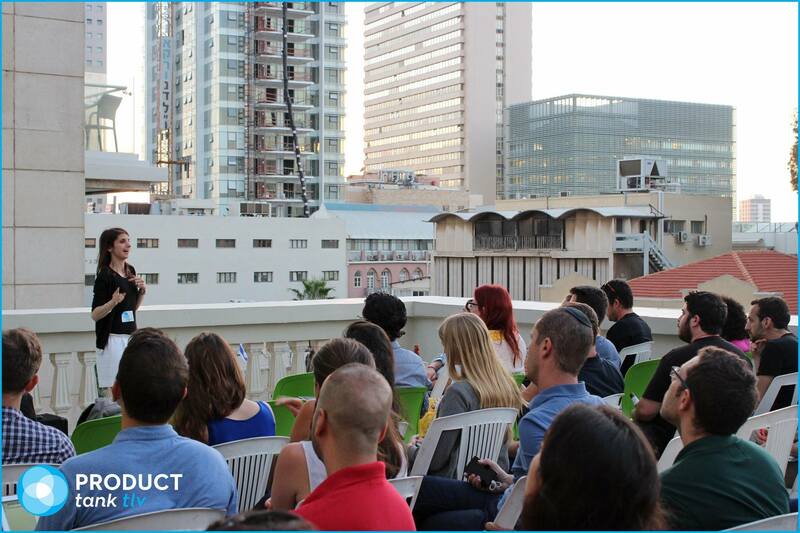 In most of her experiences, Linat explained that she succeeded within the framework of using specific tools common in product management. A great product manager knows how to take on an entire product and organize his or her priorities according to key milestones. It’s admittedly difficult to focus, as the product manager is usually smack dab in the middle of the noise humming from sales, marketing, and management. As such, it’s easy to get lost in the thick of things. Simplifying and focusing on a few key tasks is the way to make the product manager’s life easier. Wager shared her experience from the beginning of her time in Yahoo! When she was tasked with managing the content within the framework of the Yahoo! Site. She got right to it, and created a 50 page PRD (Product Requirements Document), filled with detailed user stories. After some time, she realized that all her hard and time consuming work went to waste. Her PRD’s only led to very small UI improvements, and weren’t loyal to the vision of the product. During her talk, Wager mentioned several useful frameworks for prouduct managers to work with. Here are two frameworks, which I found especially helpful: Jobe To Be Done and CLV. For who are we solving this? The main idea of the Jobs to be done framework is to look at your product as if your product is an actual person, whom a customer is hiring to get a job done. Why does the customer need to get the specific job done? Who else can the customer hire? Why didn’t the customer hire any of the other competitors? I recommend watching Clayton Christensen milkshake example of how to use the Jobs to be done framework. If you take a drill as an example for a product, then why do people hire drills? People don’t want to buy a drill to put a hole in the wall. People buy a drill so they can decorate the house. The job to be done is to decorate the house. Page views/user/year * average $ / page * average yahoo user duration + … More variables can be added to the equation. Writing down your company’s CLV as an equation, provides a framework to look at which variables in the CLV are affected. and how will it affect the bottom line for the business. When evaluating between different features/solutions to develop, trying to estimate how the change will affect the CLV can be used as another tool to prfioritize the backlog. It is the framework that changes with each new technology and not just the picture within the frame. I think that JOBS TO BE DONE framework can be very powerful for product development. When you think about your product as something user is hiring to get a job done, you can optimize your product to do this job in a great way (once you figure out what the job really is). Also, you may want to remind the customer how important that job is and encourage him to do it.